Optimize space by eliminating individual access aisles. This system uses mobile bases to enable access to several shelves from one single working aisle. Ideal for refrigerated or deepfreeze storage. With the Movirack mobile shelving system, units become more compact and storage capacity considerably increases. The mobile pallet racking units are installed over guided bases that slide laterally, eliminating the need for multiple fixed aisles. 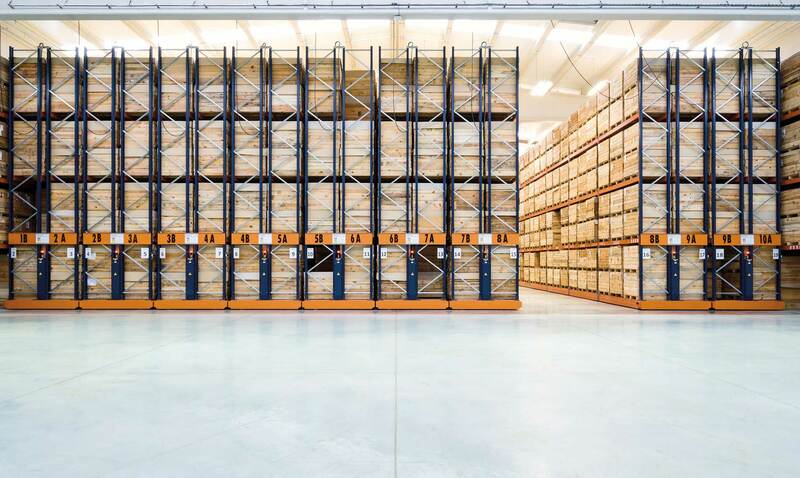 With Movirack mobile racking and shelving, the aisles open up only when the operator requests access. The motorized mobile bases are electronically-powered and are guided by rails in the floor. The Movirack units are installed on mobile bases, opening up an aisle provides direct access to the desired pallet. Utilization of available space is based on to two basic premises: increasing the storage capacity and reducing the storage area required.